I got the McCallum set up and test run. I had to the drill out the coupler box to clean some flash to allow my pins to fit and she was ready to go. The loco ran well in the quick test I did, but then a problem developed. The electrical pick-up wiper on the front truck caught on something when the loco rans forward. It bent out of place and got caught on a turnout frog. It will take some fiddling to get it bent back in position. While I am at it, I may try to add a set of wipers on the other side of the truck too. Here are two shots at Falmouth. Here is a shot of the prototype tender taken in 1864. There was no work on the layout this week but we did have the pleasure of two visitors and the arrival of a new resident. On Sunday Bob Luzenski and his business Partner Paul Treib from Michigan stopped by to see the layout after Brickfair , the largest LEGO Fan Festival in the US, held at Chantilly, VA. Bob and Paul are electrical engineers that make electronic parts for the auto industry as their main jobs, but also run a small business, called BrickCircuits, that makes electronic lighting circuits for LEGO. Bob is also an N Scale model railroad enthusiast and likes the C&O. It was fun to get together and talk trains. I have always enjoyed my visits to Michigan over the years to visit and operate model railroads. They really are a fine group of folks up there. On Tuesday the FEDEX truck brought a new resident for the layout. 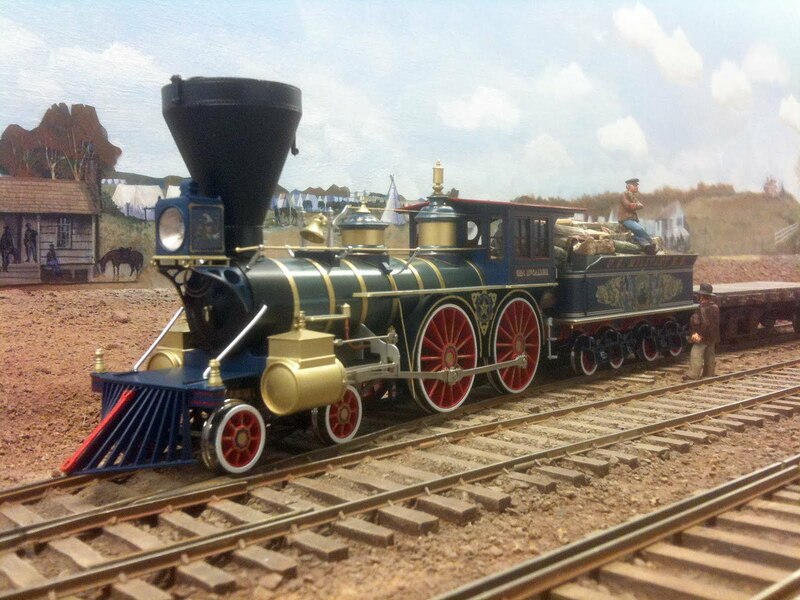 This is the latest SMR Trains Mason 4-4-0 decorated as the McCallum. 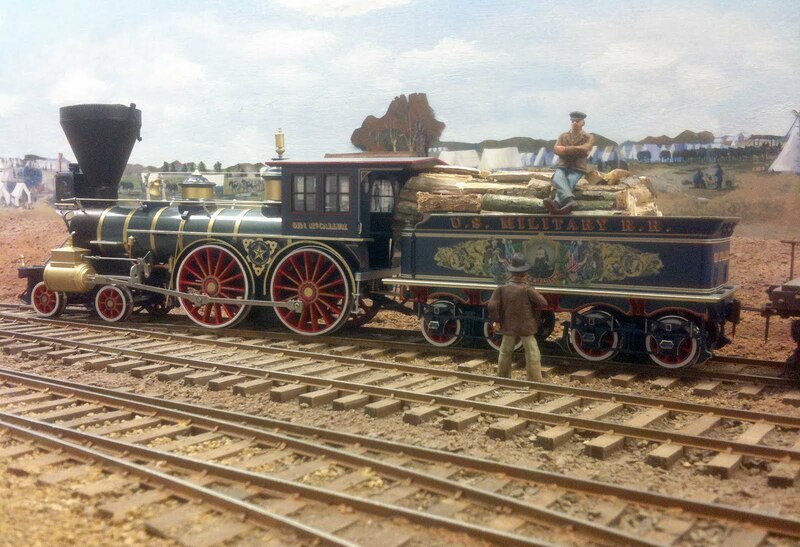 It is a fine looking locomotive. Dave tells me this model has improved pickup and hopefully will be a good runner. I haven't had a chance to test or photograph it yet, but it did look nice in the box. I like the color of the boiler. It is not as sky blue as some of Dave's earlier locomotives. This darker shade is more pleasing to my eye.